If you are looking for "AC And Heat Repair", then chances are you need to contact Northwest Gas Heating and Air Conditioning Service. Northwest Gas Heating and Air Conditioning Service offers many services, including Airconditioning Equipment Service, Cooling System Installation and Heating System Diagnosis, plus many more services for our customers in Georgetown and surrounding areas. If your situation is crucial, call Northwest Gas Heating and Air Conditioning Service today at 905-458-1021. With rising energy costs and instability in the energy markets, the benefits of a higher AFUE replacement furnace can easily outweigh the cost of the equipment over its lifetime. 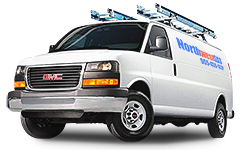 Northwest Gas Heating and Air Conditioning Service Can Service All Major Makes & Models. Northwest Gas Heating and Air Conditioning Service has many years experience working with Cooling System Diagnosis, Heater Diagnosis and Heating System Diagnosis. If you have any questions about AC And Heat Repair or any other projects (including heating and air conditioning repair), call Northwest Gas Heating and Air Conditioning Service and get the answers you need.